Firefighters in Loudoun County have unlimited access to hydrants within the Loudoun Water central service area and they require no permit or meter to use them. 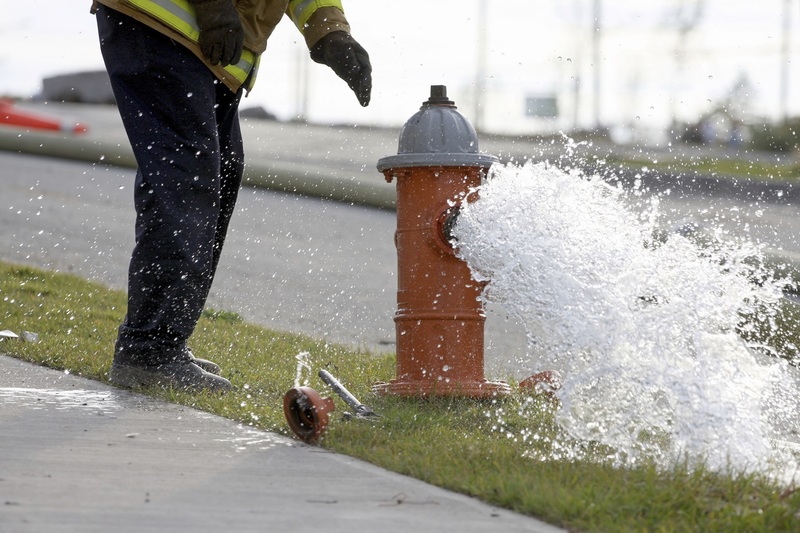 As a convenience, Loudoun Water issues hydrant meter permits to others who would like to access them for large quantities of non-potable water, such as for construction flushing and flush trucks. Please note that hydrant meters can only be used on yellow hydrants within the Loudoun Water service area. View the list and map of Available Hydrants. If you would like to request temporary access to a red hydrant, please call 571-291-7880 at least one week prior to the date needed. We will look at the location of the hydrant and consider factors, such as safety to nearby residents/businesses and water quality, before considering the approval of your request. Please keep in mind that if you have access to water through any other means, your request will be denied. If you are working on an active construction site, the developer can paint any hydrant yellow (as long as it is within the plans for the construction site). If you are holding a hose and watering plants or washing down streets, there is no risk of a backflow event. To fill a truck or a tank, you must have a fixed pipe with a gap where the water drops into the tank. This prevents the possibility of the water being suctioned from the tank through the hose. To connect to a power washer, a RPZ will be needed because an air gap is not possible. Your tank or RPZ must be inspected by Loudoun Water and approved before a new hydrant meter is released. Do you need a hydrant meter?